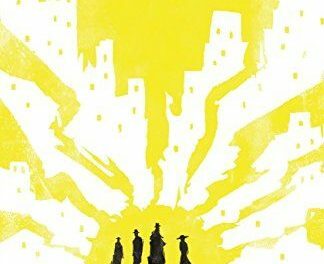 It’s 1938, and the world is on the brink of war. 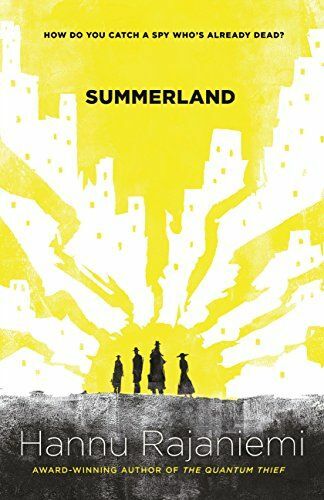 The existence of an afterlife has been proven, and a metropolis of the dead, aka Summerland, communicates with our world. 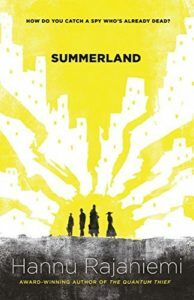 Spies willingly go to their death to “transfer” to Summerland, with death no longer feared by most – so long as they have a ticket to take them to Summerland. Naturally, the world powers compete for sovereignty in the afterlife as well, with the Soviets and the British Empire fighting for control. Rachel White is an agent for the SIS and struggles with gender equality every day despite being more capable than most of her male counterparts. Babysitting a Soviet defector, she gains information about a Soviet mole but risks not just her career, but her life to bring the spy in. Rajaniemi expertly crafts a world that fascinates, drawing the reader in with its familiar, yet different feel. It feels true to the historic period, and still has relevance to the world of today as the struggle for gender equality is something that even now rings true for countless women around the globe. Rajaniemi proves himself a talent to watch and revel in, with his thrilling depiction of a war that stretches over two different planes of existence.